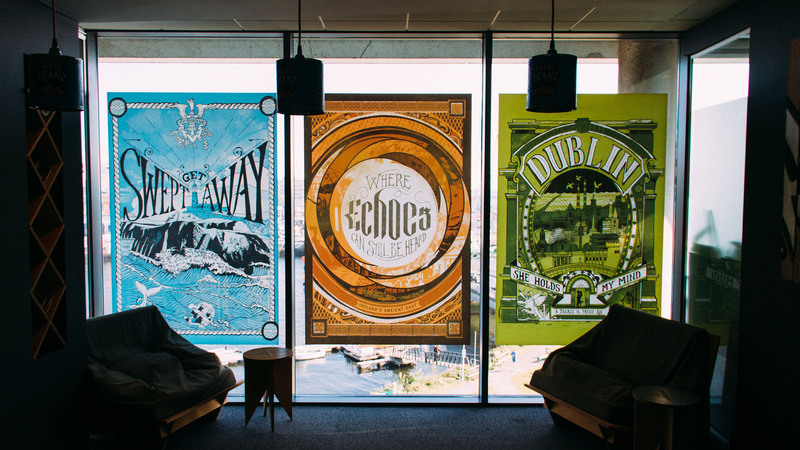 We were commissioned by Fáilte Ireland to create three posters to represent each of their primary domestic programmes: Wild Atlantic Way, Ireland’s Ancient East and Dublin. These posters were to galvanise their workforce internally by presenting the programmes in a manner that was aesthetically satisfying and that demonstrated an intimate knowledge of what the programmes represent. We resolved to execute the poster in a stylistic context that was substantially differentiated from the consumer-facing material that we produce for Fáilte Ireland. We agreed a set of references with the client around an illustrative treatment that featured hand-rendered typography and a stripped-back colour palette. It was intend that this style of execution would unify the posters and would allow us to create individual concepts for each poster while still allowing them to be displayed as a group when desired. 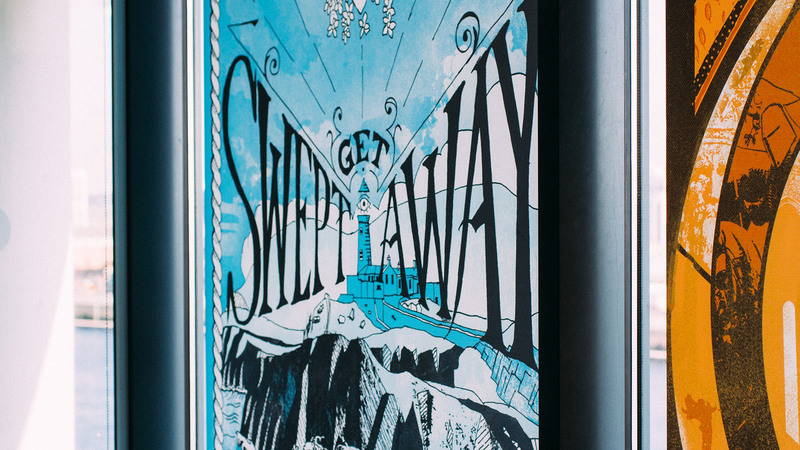 # Get swept away The Wild Atlantic Way concept was based around combining maritime tattoo-style with Japanese Ukiyo-e art to represent the immersive quality and transportive magic of the landscape along the west coast of Ireland. # Where echoes can still be heard With Ireland’s Ancient East we represented the different strata of historical periods included in this area as layers emanating from a central source. The image content of the collage and the decorative elements in the frame are derived from the visual styles of these various historial periods. The harmonious integration of these elements within the layout alludes to how the vivid history of Ireland resides in the landscape. 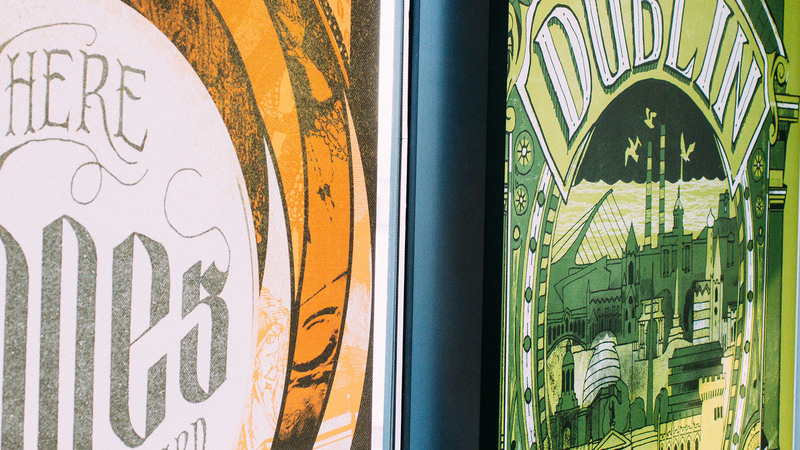 # Dublin The Dublin poster was designed to be a love letter to the city. We borrowed a line from Louis MacNeice’s poem ‘Dublin’. It communicates the intimate nature of the relationship a person can have with their city. A shorthand portrait of the city is framed like a loved one’s treasured photograph and frame is made up of architecturally elements that reference Dublin.